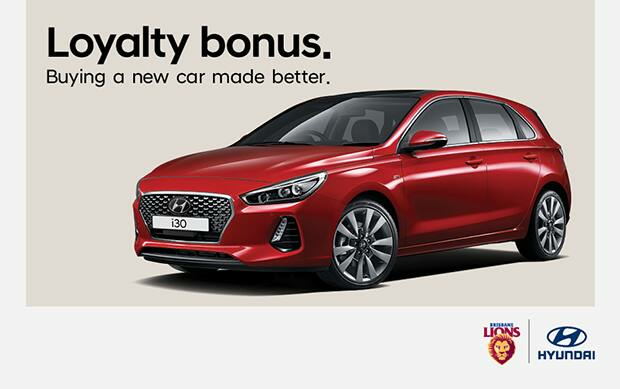 Thanks to Platinum Partner Hyundai, all Brisbane Lions 11 game members are entitled to up to $1,000 cash back when they purchase selected new Hyundai models. Did you know the Brisbane Lions have our very own Hyundai expert, Kylie Osborne. Kylie is a dedicated Brisbane Lions resource to assist our valued members and fans through the journey of buying a new car. Kylie is here to do all the legwork for you and be your personal contact each step of the way as well as giving you access to the best pricing and special offers. If you are a Lions member, she can also help you redeem your loyalty bonus.